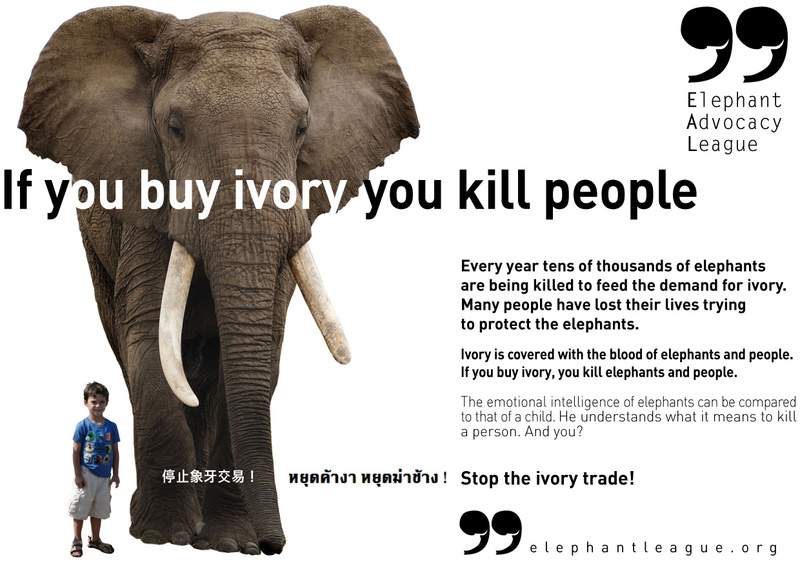 Kill the Trade – Destroy your Ivory Stockpiles. International Animal Rescue Foundation Africa and Speak Up for the Voiceless call on all environmental organisations, animal activists and members of the public to lobby the first set of governments listed herein to destroy all confiscated ivory within their vaults. We have to make a stand and show to Asia that we will not support, tolerate or debate an ivory trade. Enough is enough and now the time has come for all governments around the world to destroy all ivory, standing up to this bloody menace of poaching today and not within ten years of which we will have no Elephants walking freely within the wild. Please view the sample letter below. I call on your respectable government to now initiate a destruction order of all confiscated ivory pieces within your vaults confiscated by customs, police and wildlife departments. Last year we lost some 20,000-30,000 Elephants of which ivory is used to supply the trade in white gold (worked ivory) within Asia. Countries around the globe are now stepping up and destroying their confiscated ivory sending a clear message to Asia that trade will not be tolerated or debated. A transparent message must now be sent to Asian criminal gangs and those that trade in wildlife products that trade will not be on the agenda or tolerated. Every 15 minutes an Elephant is poached to supply the trade in white gold. Please destroy your stockpiles and stop any form of trade in confiscated ivory emerging. This entry was posted on April 1, 2014 by speakupforthevoiceless. It was filed under You must be the change you want to see in the world .